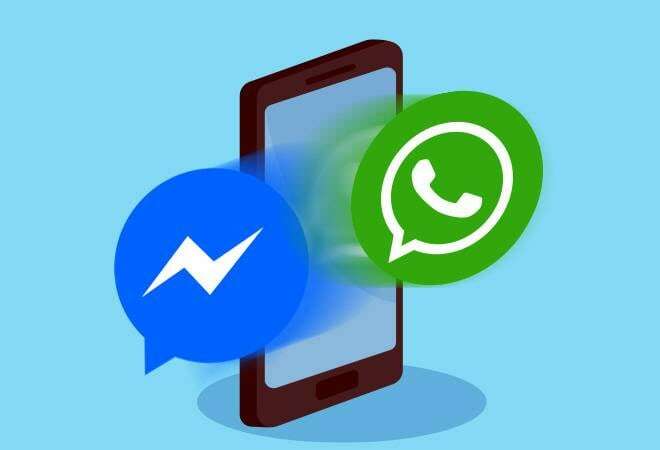 Facebook owned WhatsApp is bigger than Facebook Messenger, its sibling, and chances are that you are on one of those apps, if not both. The two messaging apps have a combined user base of approximately 2.8 billion people and each of them process billions of messages daily. Both the apps have certain strengths and weaknesses. Facebook Messenger is closely integrated with your Facebook profile whereas WhatsApp is about the contacts you have stored on your phone. At the core, both the platforms help you to communicate with friends and have features like free calling and group messaging, however, the two apps cannot be more dissimilar from each other. Here's the comparison between WhatsApp and Facebook Messenger. Pick the one you feel is right for you. Privacy: WhatsApp uses end-to-end encryption to keep your messages private. End-to-end encryption ensures that only the participants of a conversation can see the messages and content that it contains. Facebook Messenger encrypts messages by default from the sender to its server, and then encrypts them again between the server and the recipient. Image transfer: WhatsApp enforces a limit to number of images you can send. There is no such limit on Messenger. Messenger is well integrated with Facebook and deploys facial recognition to identify your friends in the photos. Calling: Placing calls via WhatsApp is preferred because it lets you place calls even in places where signal strength is weak. WhatsApp works smoothly on 3G, Wi-Fi, and even 2G networks. Meanwhile, group calling is better on Messenger, especially when you need to call 50 people! WhatsApp allows you to start a group call with not more than 4 people. Design: It's a personal choice but Messenger design is a lot more modern than that of WhatsApp. Messenger has features like gradients, which lets you use multiple colours to customise your chat bubbles in conversation to reflect your mood or topic of conversation. There is also a 'dark mode' in the pipeline. Messenger is keeping pace with the times, and its time WhatsApp also adopts some of these modern ideas. Delete sent messages: WhatsApp lets you delete sent message unlike the Messenger. There are reports that Messenger is testing the feature but the release date isn't confirmed yet.